Matt, who hails from North Carolina, joined the Sun Oaks management team in August of 2011. 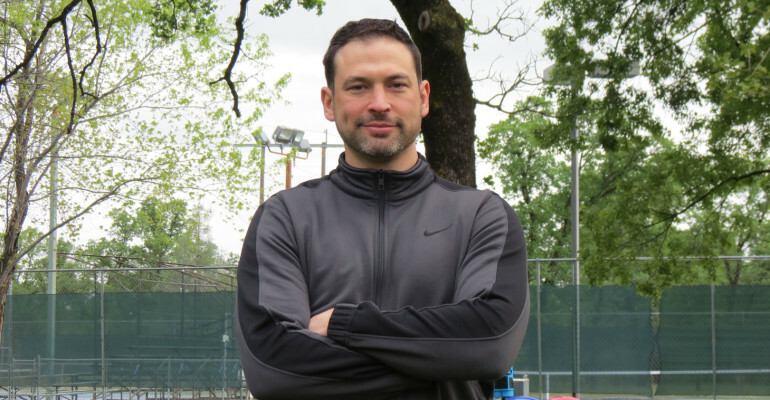 Before coming to Redding, he developed his training background and philosophy through his experience in clinical research, coaching, and business marketing. This philosophy includes a focus on vision, progression, and fun in the training process. Matt received his degree in Exercise Physiology from the University of North Carolina – Chapel Hill. He continued his education and development in exercise and training with a personal training certification from the American College of Sports Medicine, corrective exercise specialist from the National Academy of Sports Medicine. Matt also works as the Head Trainer in the Athletic Dept; coaching and facilitating sport and athletic training programs. His expertise includes a Strength and Conditioning Specialist certification from the National Strength and Conditioning Association, and a Level 1 Sport and Performance certification from the US Weightlifting Association. If you have any questions or need any help, feel free to stop by the weight room office and say hello. Matt is ready and willing to help with any of your exercise aspirations and goals.